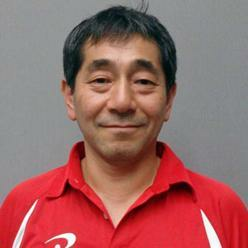 Shunichi is a Physical therapist, and a Certified Athletic Trainer for the National Athletic Trainer’s Association. He has specialized in training orthopedic manual therapy. In twenty years of professional practice, he has treated hundreds of operative and non-operative knee, hip and shoulder patients including many athletes at all level. After graduating Physical Therapy College in Tokyo, Shunichi pursued his education in Post-Graduate Athletic Training Program at Oregon State University, and Graduate Athletic Training Program at University of Virginia. He worked for Yokohama Marinos Football Club in Japan as a team Physiotherapist. This experience in professional soccer enabled him to develop various sports specific rehabilitation programs. Currently, he is the Senior Physical Therapist and clinical instructor at Kawaguchi Kogyo General Hospital in Saitama, Japan. His professional belief is not only to recover post-surgical patients but to prevent injury and maintain their condition at optimum level. Besides his clinical practice, Shunichi is passionate in helping athletes and serve the community where he lives.